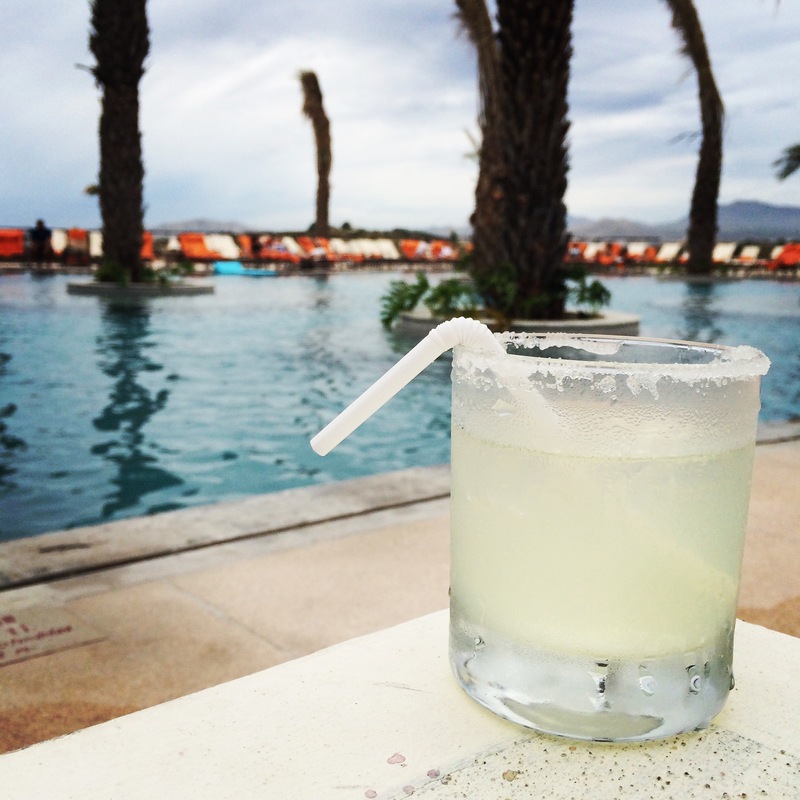 Everything You Need to Know About Tequila! One of the best things about being in Mexico is tequila. Yes, of course, there is beautiful, fresh seafood and fruit, gorgeous beaches, and the people are wonderful. But if you are on vacation, chances are pretty good you are going to be doing some drinking, and seeing as you are in Mexico, your drink should be Tequila. Tequila is a liquor that is exclusive to Mexico. 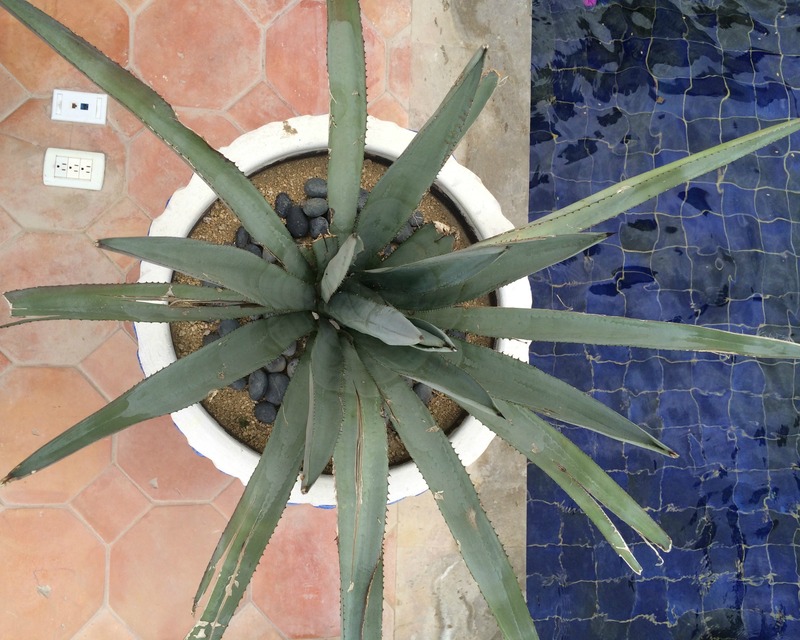 It comes from the blue agave plant, which looks like this. The plants are grown for 7 years, then harvested, the leaves are baked, and then the liquid is pressed out of them and distilled. Further distillations or aging produce finer tequilas. The bottle has to say the word TEQUILA. I know that sounds kind of obvious, but just check, anyway. The volume of alcohol should be 35% or more. Must say 100% agave or 100% blue agave. Bonus: there may be a bar code or serial number on the bottle. Older styles of tequila were customarily taken with a lick of salt (first) and a bite of lime (after) because, quite honestly, the tequila was thick and syrupy, and hard to swallow. Licking salt before drinking it helped to prepare the mouth with lots of saliva, and the acid in the lime cut through the syrupy sweetness after the fact (you may have used agave syrup in baking and cooking–it comes from the same plant). Today, however, many tequilas are, like scotch and whiskey, carefully and artisanaly distilled, aged in barrels, and are not really meant for doing shots, but rather as a mix in cocktails, or for sipping in the same way you would a brandy after dinner. Tequila that has been aged a minimum of two months in oak barrels has an amber colour, and is called Reposado. It can be aged even further to develop the flavours: Añejo is aged less than three years, and Extra Añejo is aged a minimum of three years. My favourite? 1800 Reposado Reserva ($40). I loved the smokiness of this one–it reminded me of scotch. Finally, David taught us a very long and complicated “cheers” to do when drinking Tequila with friends, but it’s not something I can teach you in a blog post! 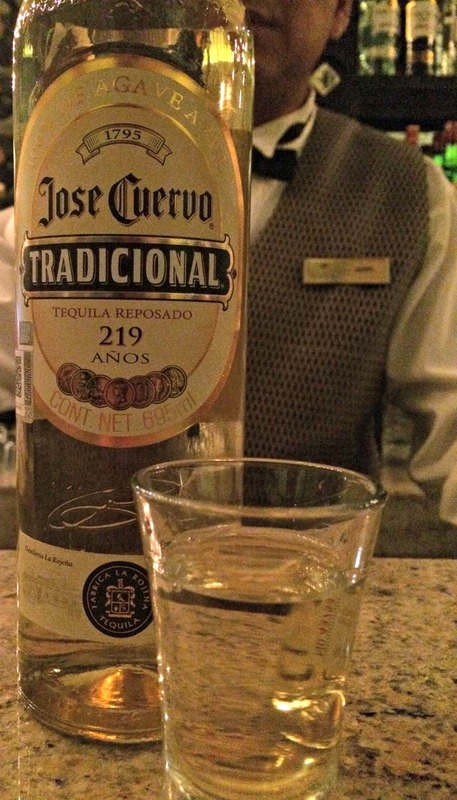 When you are drinking Tequila, instead of saying cheers, it is tradition to say Salud! and Viva Mexico! Just a note, #2 on your list, the brand is known in Mexico as Don Julio as you named the brand in #4. Don July, is considered, when spoken, in Mexican Spanish. BTW, the new wave in central and southern Mexico, is Mezcal, did you try any? The list was given to me by a Spanish-speaker! I didn’t try any Mezcal… next time! 4rd the best tequila for me is tequila clase Azul http://claseazul.com and you would never have it in a cocktail or as digestive after dinner but the opposite at the beginning of it, or paired with a Mexican dish.